Now it appears that inactivation of two specific genes related to the immune system may have conferred selected ancestors of modern humans with improved protection from some pathogenic bacterial strains, such as Escherichia coliK1 and Group B Streptococci, the leading causes of sepsis and meningitis in human fetuses, newborns and infants according to an international team of researchers, led by scientists at the University of California, San Diego School of Medicine. "In a small, restricted population, a single mutation can have a big effect, a rare allele can get to high frequency," said senior author Ajit Varki, MD, professor of medicine and cellular and molecular medicine and co-director of the Center for Academic Research and Training in Anthropogeny at UC San Diego. "We've found two genes that are non-functional in humans, but not in related primates, which could have been targets for bacterial pathogens particularly lethal to newborns and infants. Killing the very young can have a major impact upon reproductive fitness. Species survival can then depend upon either resisting the pathogen or on eliminating the target proteins it uses to gain the upper hand." In this case, Varki, who is also director of the UC San Diego Glycobiology Research and Training Center, and colleagues in the United States, Japan and Italy, propose that the latter occurred. Specifically, they point to inactivation of two sialic acid-recognized signaling receptors (siglecs) that modulate immune responses and are part of a larger family of genes believed to have been very active in human evolution. Working with Victor Nizet, MD, professor of pediatrics and pharmacy, Varki's group had previously shown that some pathogens can exploit siglecs to alter the host immune responses in favor of the microbe. In the latest study, the scientists found that the gene for Siglec-13 was no longer part of the modern human genome, though it remains intact and functional in chimpanzees, our closest evolutionary cousins. 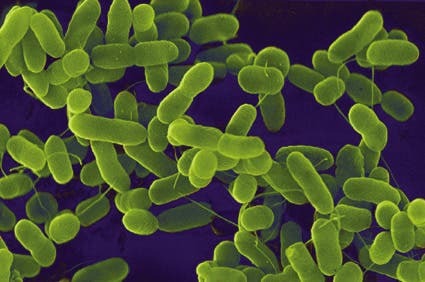 The other siglec gene – for Siglec-17 – was still expressed in humans, but it had been slightly tweaked to make a short, inactive protein of no use to invasive pathogens. "Genome sequencing can provide powerful insights into how organisms evolve, including humans," said co-author Eric D. Green, MD, PhD, director of the National Human Genome Research Institute at the National Institutes of Health. In a novel experiment, the scientists "resurrected" these "molecular fossils" and found that the proteins were recognized by current pathogenic strains of E. coli and Group B Streptococci. "The modern bugs can still bind and could potentially have altered immune reactions," Varki said. Though it is impossible to discern exactly what happened during evolution, the investigators studied molecular signatures surrounding these genes to hypothesize that predecessors of modern humans grappled with a massive pathogenic menace between 100,000 and 200,000 years ago. This presumed "selective sweep" would have devastated their numbers. Only individuals with certain gene mutations survived – the tiny, emergent population of anatomically modern humans that would result in everyone alive today possessing a non-functional Siglec-17 gene and a missing Siglec-13 gene. Varki said it's probable that humanity's evolutionary bottleneck was the complex result of multiple, interacting factors. "Speciation (the process of evolving new species from existing ones) is driven by many things," he said. "We think infectious agents are one of them.